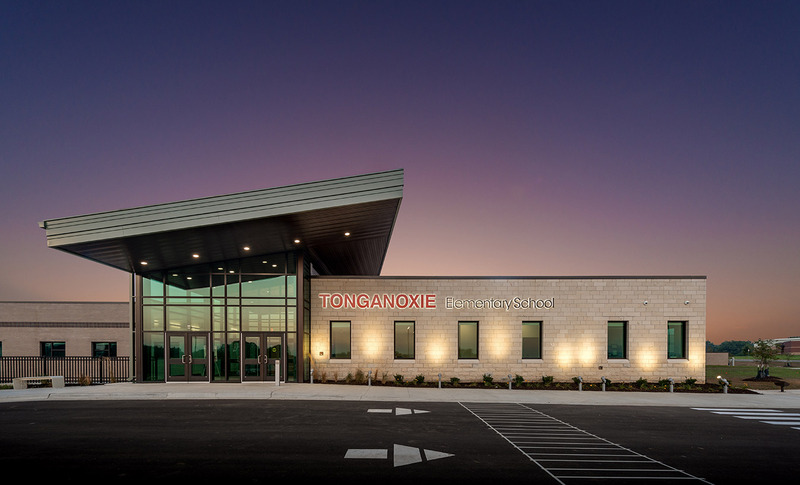 HTK assisted the Tonganoxie School District in master planning for future enrollment growth. 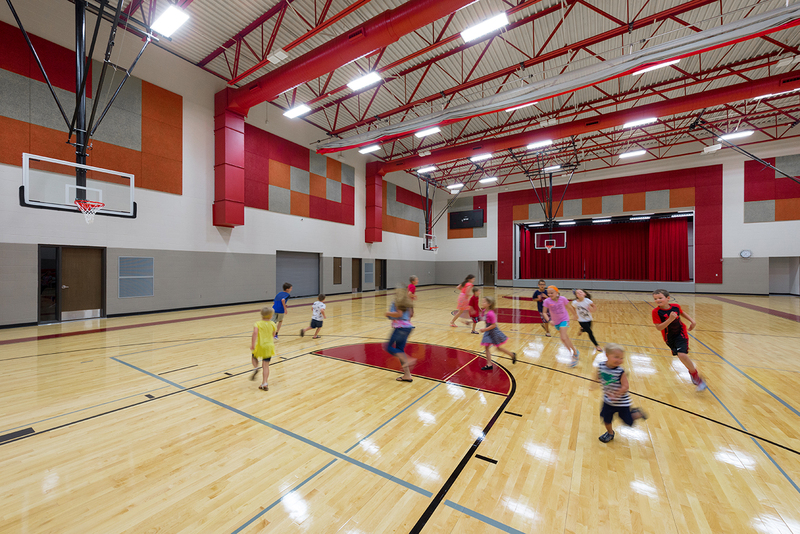 The community decided to close their previous aging and undersized elementary school and build one large attendance center for grades K-5. 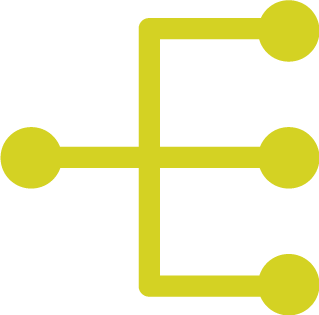 HTK organized and ran their pre-bond election campaign. 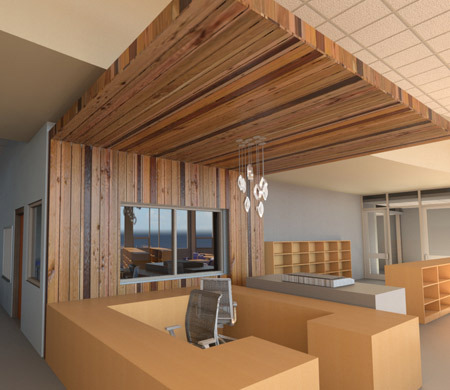 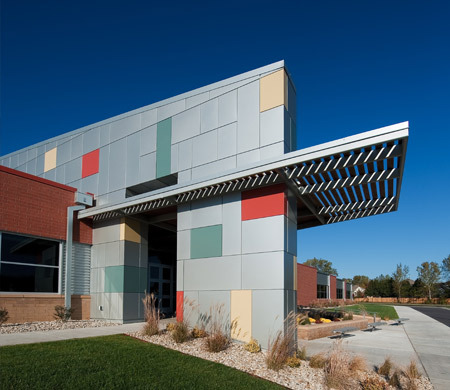 Upon a successful bond election, HTK was awarded the design contract for the new 1,200 student elementary school. 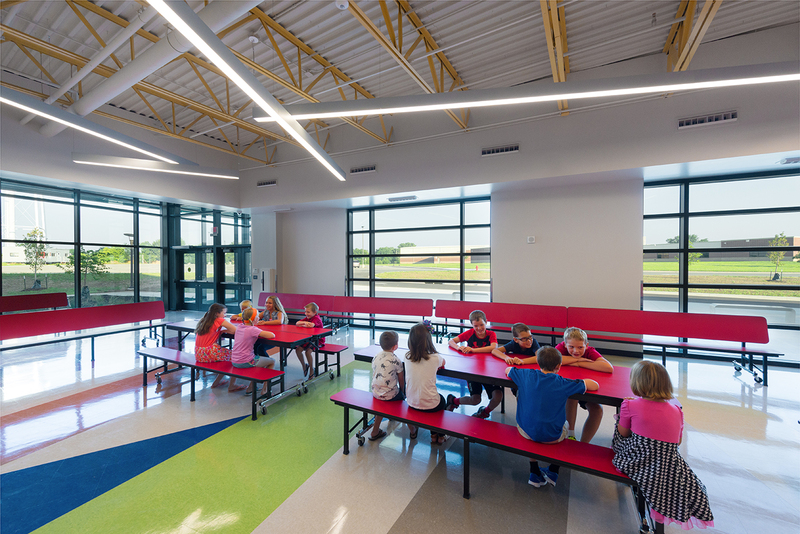 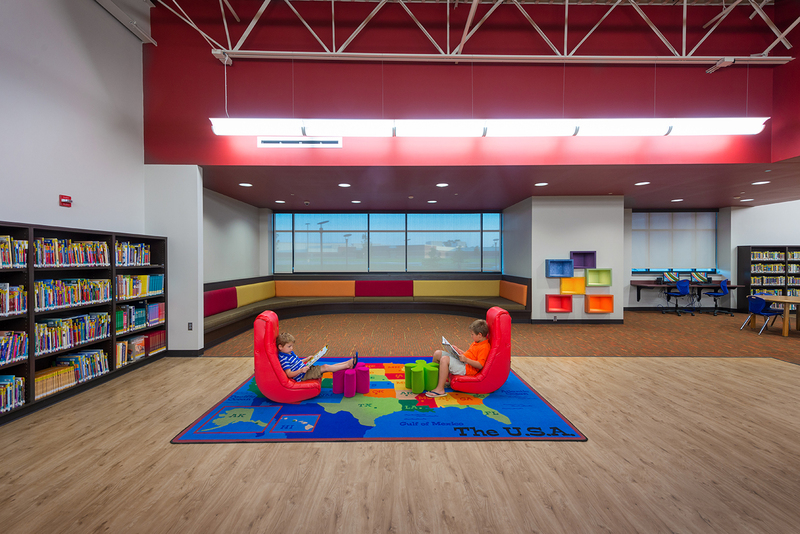 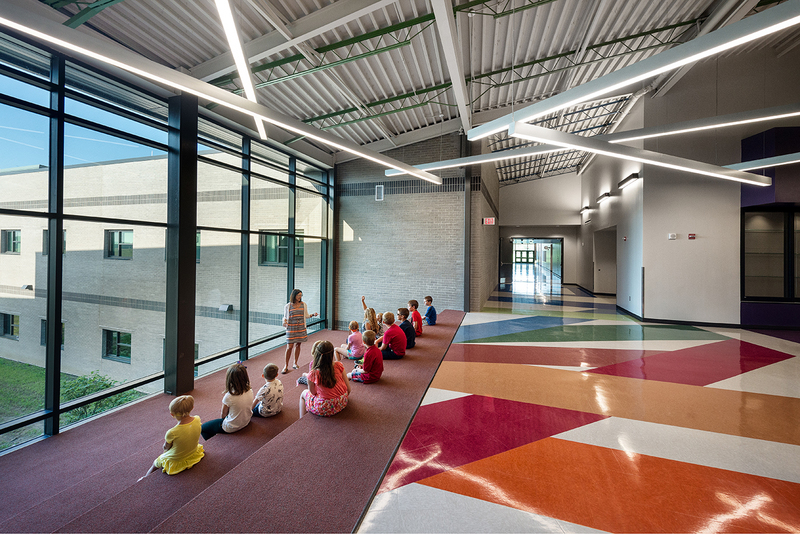 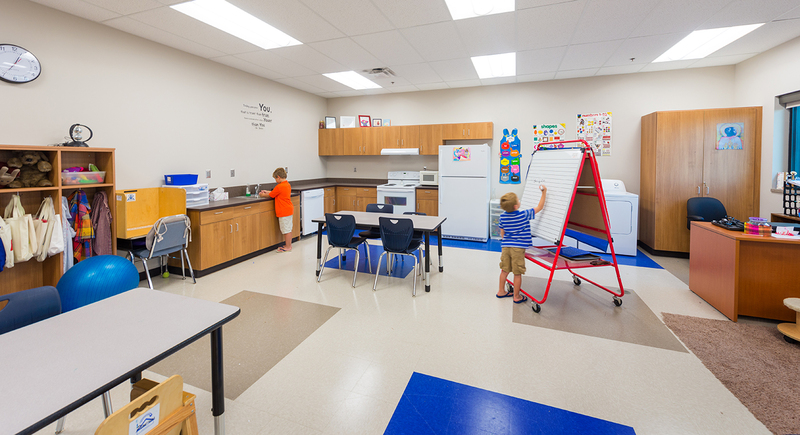 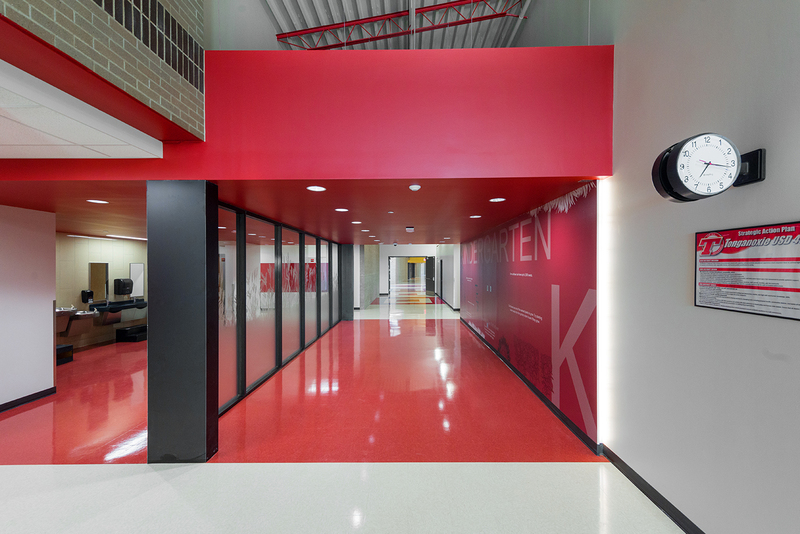 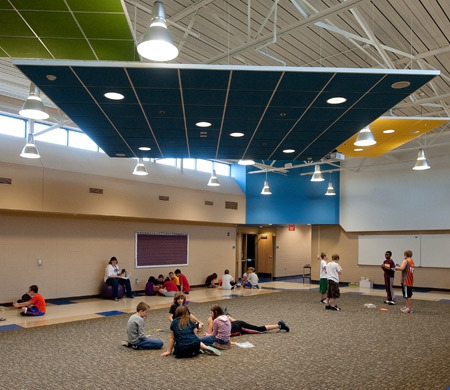 At Tonganoxie Elementary, learning is not confined to the classrooms; the multi-story design is comprised of grade “pods” in the two story portion of the building as well as the support spaces on the main level. 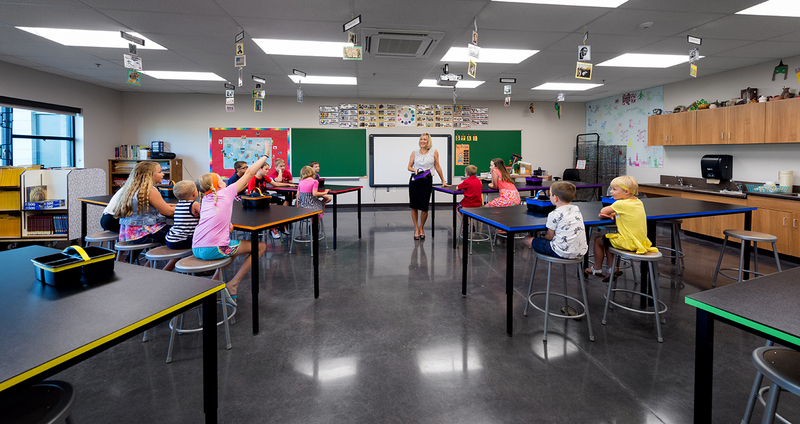 The entry of every grade’s “pod” has a Kansas State item, such as the state bird or flower, and is equipped with visual and sensory technology to teach the students about the rich history and environment of Kansas. 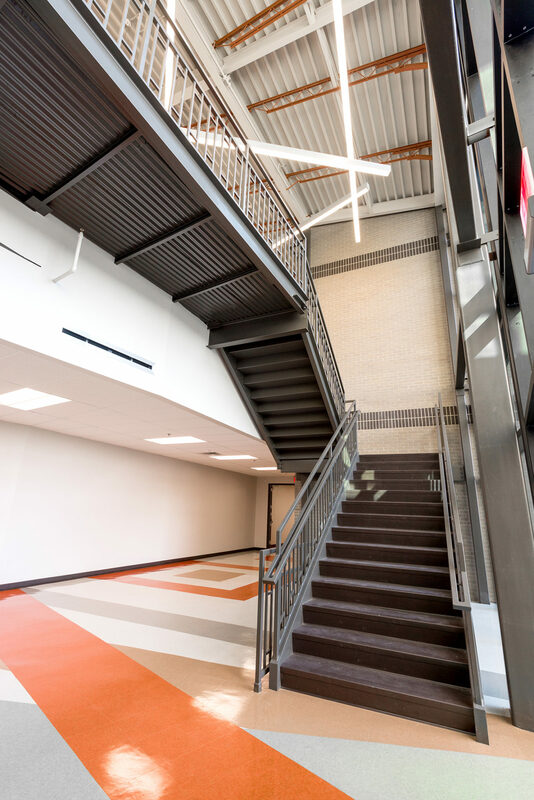 Learning Stairs are incorporated into the circulation spaces for team teaching and group activities. 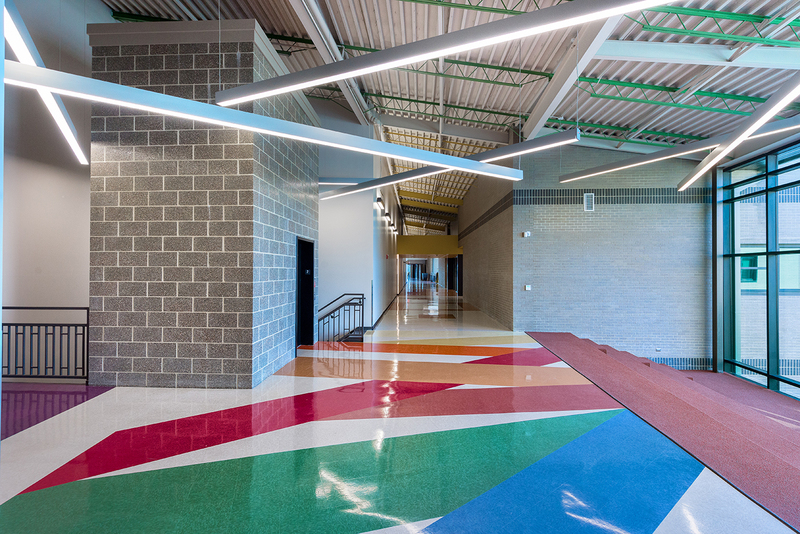 Additionally, the school is comprised of 66 classrooms, 2 gyms, a food service kitchen, a stage, art labs, science labs, computer labs, a media center, band rooms, and administration areas. 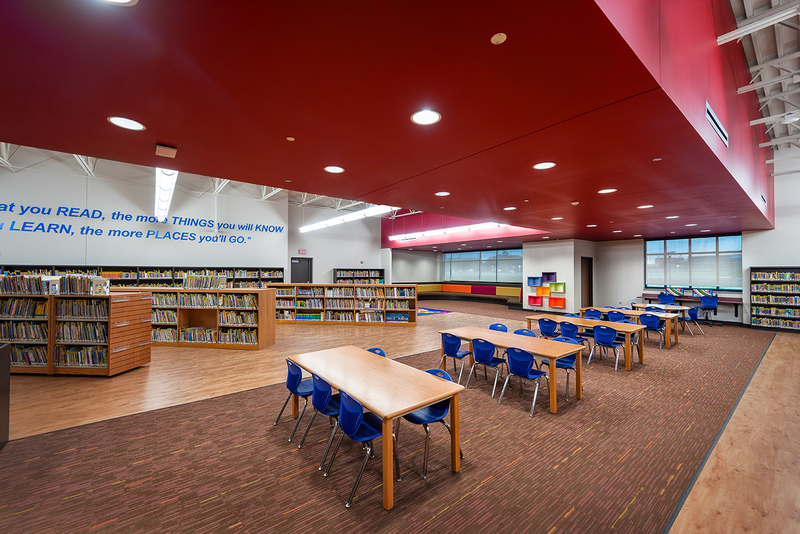 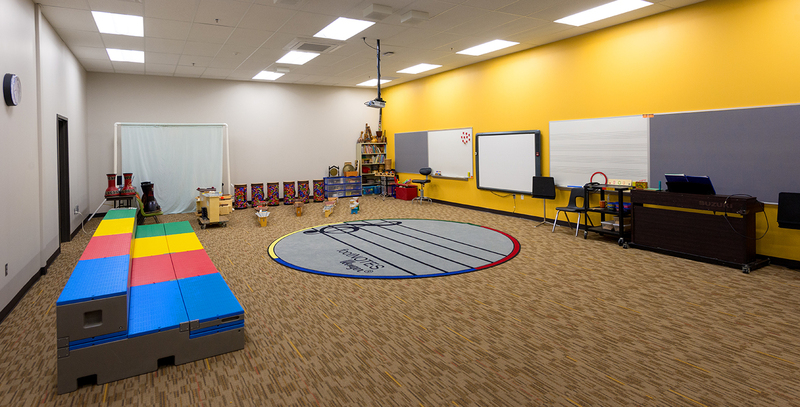 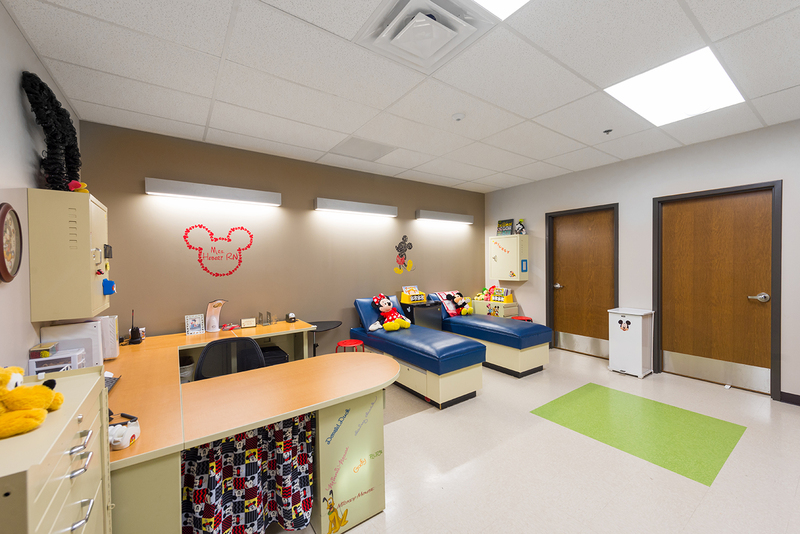 The school design also includes special education and title 1 hubs as well as related classrooms for every grade. 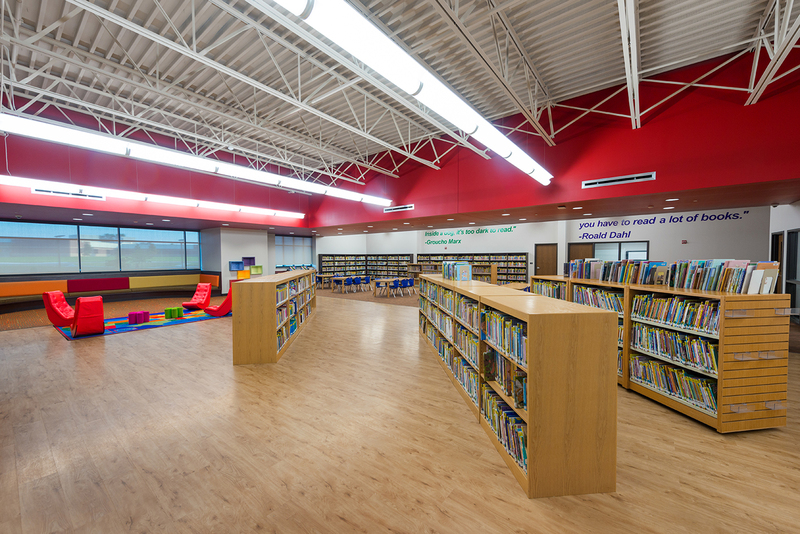 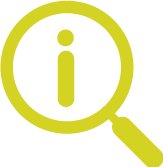 Full site development, including roads, lighting, native prairie landscaping, and infrastructure are included in this project.